Creating advanced and modern food service equipment, Cadco has been in the industry since 1996. They are the first company to introduce countertop portable ovens and later on released mobile hot and cold food carts. 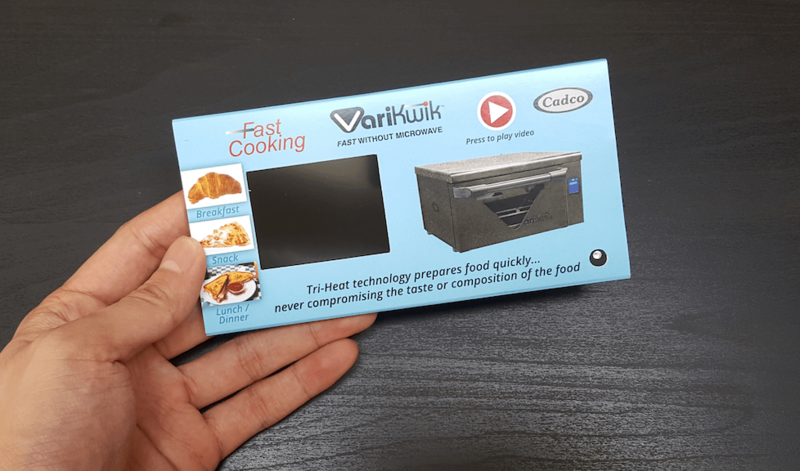 Using bigDAWGS’ Video Shelf Talkers, Cadco exhibits the different meals that you can prepare using the VariKwik oven. It is a high-speed oven capable of using three types of heat during the cooking process. Start your oven shopping now and visit cadco-ltd.com!